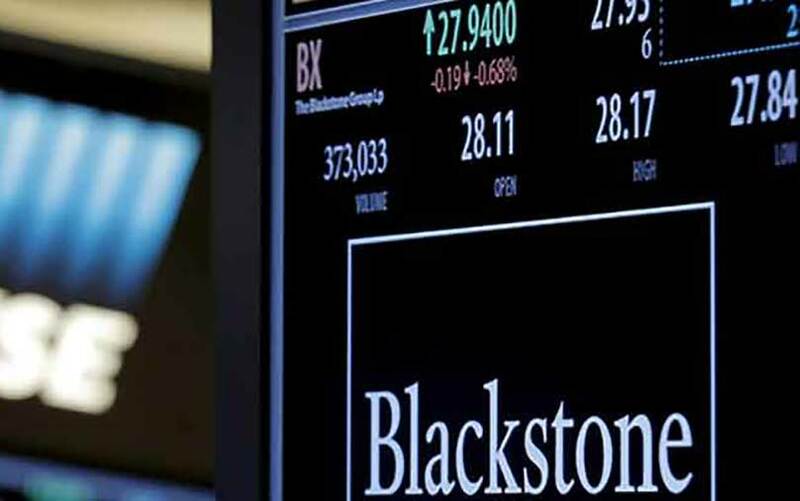 Out of 20 suitors, private equity giant Blackstone has emerged as the only entity to make an all-cash offer to buy out Punjab National Bank and PE firm Carlyle from PNB Housing Finance Ltd, The Economic Times reported, citing two people aware of the development. Going by a BSE filing, promoters Punjab National Bank and Carlyle are looking to sell minimum combined stake of 51%. According to the report, the promoters want to sell their entire combined stake, which is close to 66%, to an investor willing to fork out close to ₹15,000 crore. Punjab National Bank holds 32.79% stake in PNB Housing Finance and Carlyle 32.36%. PNB Housing Finance has received non-binding offers from 20 firms including Warburg Pincus, KKR, Dewan Housing Finance, Indiabulls, and Godrej, the report said. PNB Housing Finance may shortlist seven bidders in the first round by this weekend, according to the report. Blackstone has one of the biggest portfolios of commercial properties in India. It is looking to expand into the retail segment with PNB Housing Finance buyout, the report said. Separately, Tata Power and India Power Corporation have placed bids to acquire Central Electricity Supply Utility of Odisha, The Economic Times reported, citing people aware of the development. Central Electricity Supply Utility of Odisha is a power distribution company owned by the government of Odisha. The bidders will have the option to form joint ventures or acquire the licence completely, the report said. The successful bidder will manage, invest and operate the power distribution firm for 25 years, according to the report. In another development, JSW Steel, Tata Steel, Liberty House, Kalyani and Vedanta have expressed interest in acquiring Usha Martin’s steel business, Business Standard reported. All the five companies have signed non-disclosure agreements and are doing due diligence. Usha Martin is looking to sell its steel business to pare debt, which was around Rs 4,600 crore as on 31 March, according to the report. Separately, Bharti Airtel, Reliance Jio Infocomm, Sterlite Technologies, AION Capital and I Squared Capital have placed bids for the assets of telecom operator Aircel, Mint reported, citing people aware of the development. Airtel has made an offer for the spectrum assets of Aircel. Jio is the only bidder for Aircel’s telecom towers, the report said. Jio, Sterlite, AION and I Squared are vying for Aircel’s fibre assets. The lenders of Aircel are looking to sell all of the assets to a single party, the report said. The lenders are expecting to get over Rs 25,000 crore from the sale, according to the report. Aircel’s total debt is around Rs 50,000 crore. The financial daily said that Sterlite had denied submitting a bid for Aircel’s fibre assets. In February, Aircel had filed for bankruptcy pressured by a high debt pile and mounting losses. In another development, philanthropic foundation Central Square Foundation, hedge fund Steadview Capital, the Bill and Melinda Gates Foundation, and Google India have together committed $40 million for a fund to improve early-stage education in India, Mint reported. The fund will primarily help students from classes one to three to improve their reading and mathematics skills, the report said. Ashish Dhawan is the founder of Central Square Foundation, which aims to provide school education for all children in India. He had stepped down as senior managing director of ChrysCapital in 2012 and has made some angel investments since then.